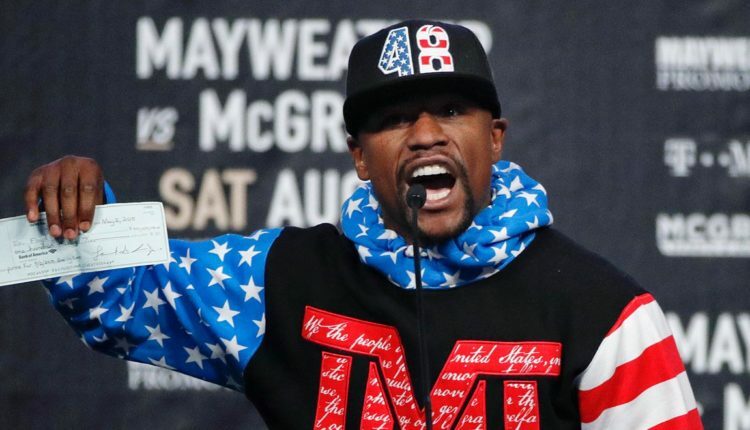 Less than three days after a news conference in Tokyo announcing his return to fighting against kickboxer Tenshin Nasukawa, Floyd Mayweather has announced the fight was off and that he was lied to by the organizers. 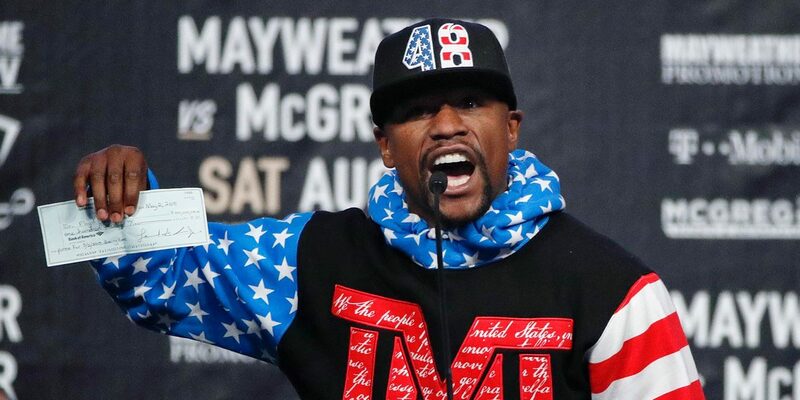 Taking to his Instagram account on Wednesday, Mayweather would claim that he arrived in Japan not knowing who Nasukawa was, and that he was initially set to be an “exhibition” for three, three minute rounds for a small audience of wealthy spectators. Now that I am back on U.S. soil after a long and disappointing trip to Tokyo, I now have the time to address you, my fans and the media in regard to the upcoming event on December 31st that was recently announced. 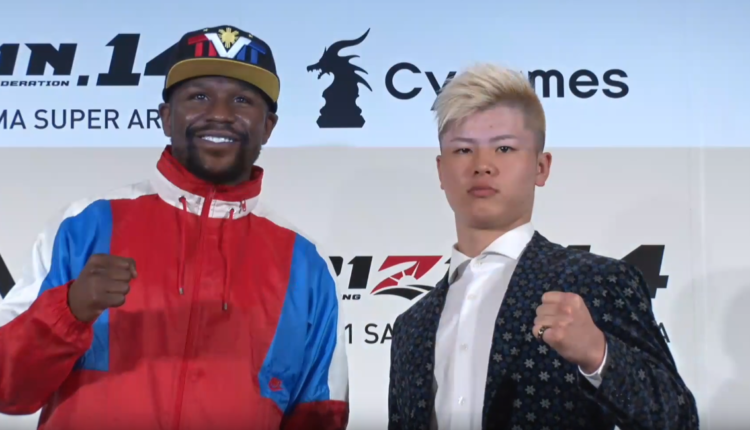 First and foremost, I want it to be clear that I, Floyd Mayweather, never agreed to an official bout with Tenshin Nasukawa. In fact (with all due respect) I have never heard of him until this recent trip to Japan. Ultimately, I was asked to participate in a 9 minute exhibition of 3 rounds with an opponent selected by the “Rizen [sic] Fighting Federation”. What I was originally informed of by Brent Johnson of “One Entertainment” was that this was to be an exhibition put on for a small group of wealthy spectators for a very large fee. This exhibition was previously arranged as a “Special Bout” purely for entertainment purposes with no intentions of being represented as an official fight card nor televised worldwide. Once I arrived to the press conference, my team and I were completely derailed by the new direction this event was going and we should have put a stop to it immediately. I want to sincerely apologize to my fans for the very misleading information that was announced during this press conference and I can assure you that I too was completely blindsided by the arrangements that were being made without my consent nor approval. For the sake of the several fans and attendees that flew in from all parts of the world to attend this past press conference, I was hesitant to create a huge disturbance by combating what was being said and for that I am truly sorry. I am a retired boxer that earns an unprecedented amount of money, globally, for appearances, speaking engagements and occasional small exhibitions. 2. TJ Dillashaw To Fight Henry Cejudo For UFC Flyweight Title. 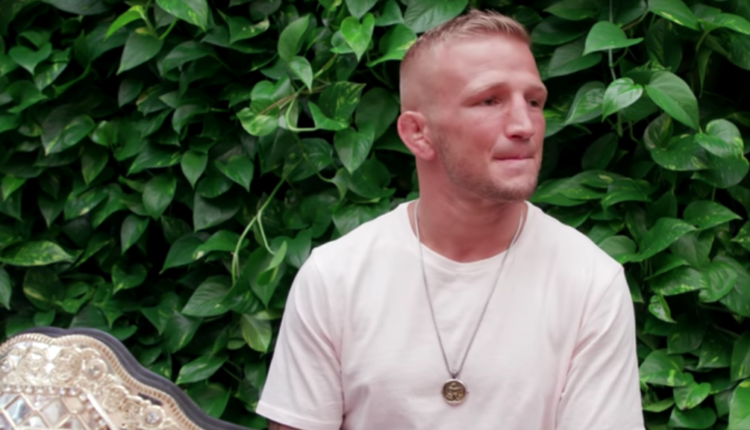 As the MMA community prepares to write the eulogy of the UFC flyweight division, TJ Dillashaw looks to become the third and possibly final champion at 125 pounds. Dillashaw’s “superfight” against Henry Cejudo will see the bantamweight champion drop to 125-pounds for Cejudo’s first and possibly only defense of the title at UFC 233 on January 26th at the Honda Center in Anaheim, California. If successful, Dillashaw will join Randy Couture, BJ Penn, Conor McGregor, Georges St-Pierre and Daniel Cormier as the only male two-weight champions in UFC History, with only Cormier and McGregor holding two at one time. As he prepares to return from his second drug test related suspension, Jon Jones claims that he’s turned the corner and will be in top form when he faces Alexander Gustafsson at UFC 232. Jones would have a fight of the year level showdown with Gustafsson at UFC 165, and the former light heavyweight champion told ESPN’s Ariel Helwani that he was at the peak of his partying in 2013, and that he will be a different fighter come December 29th. “The guy that fought Gustafsson the first time was right in the heyday of all his crap, as far as just being a party boy, mainly,” Jones said. “Being on top of the world; not many things have happened to my life at that point. Joining the likes of Winston Churchill, Bill Clinton, Henry Kissinger, and many more historical figures, Manny Pacquiao would take to the Oxford Union’s lectern on Monday to speak about his journey from being a child of poverty to a world champion and senator. 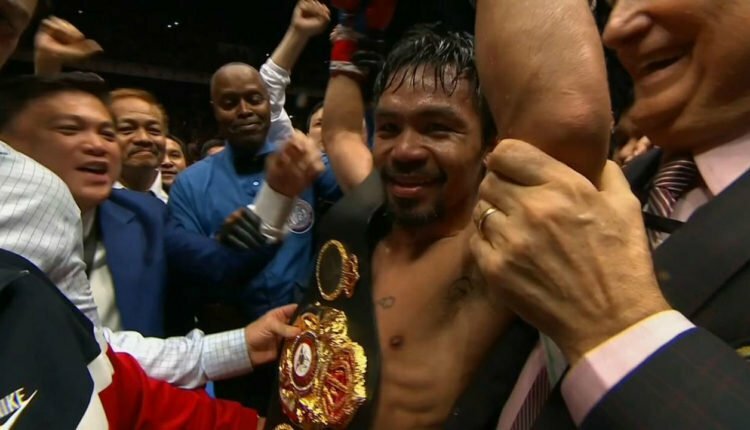 “It is a matter of record that I only had traditional formal schooling until Secondary School, Grade 12,” Pacquiao added. “It was only recently that I reached University level through the alternative education program. We were dirt poor. I had to work since the age of five, to help my mother feed my three siblings and me. Many days, I was lucky to have one full meal. “At night when I could not sleep because of the cold, I would read the labels on the carton boxes that served as my bed on the street pavement. The movements of the clouds, the tint of the horizon, and the clarity of the stars taught me when morning was about to come” he continued. 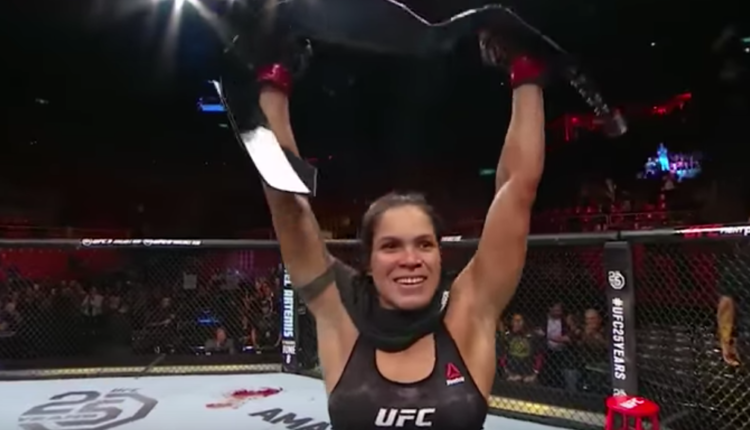 For Amanda Nunes, not only is a second world championship on the line at UFC 232, but a defining win for her legacy and a spot in the UFC Hall of Fame. Nunes looks to become the first woman to hold two titles in the UFC, as the bantamweight champion goes for the featherweight championship against Cris Cyborg on December 29th in the headlining fight of UFC 232. With wins over Ronda Rousey, Miesha Tate, and Germaine de Randamie, Rocky Pennington, and Valentina Shevchenko, Nunes claims that a win over Cyborg would make her the greatest woman to ever step inside the Octagon. While Nunes may walk out of UFC 232 with two titles, the current bantamweight champion is unsure if she’d keep and defend both.